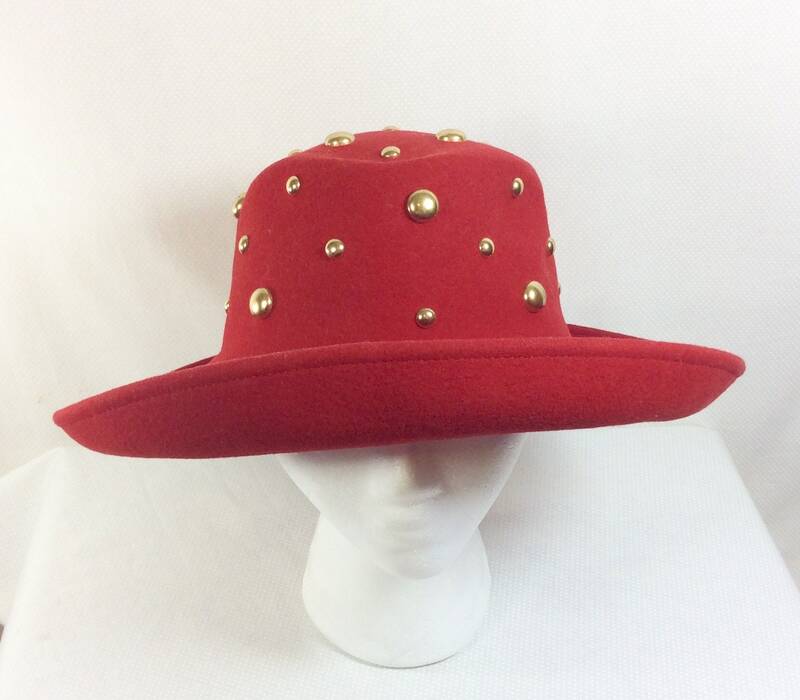 Throw it back to 1994 with this fabulous vintage hat! 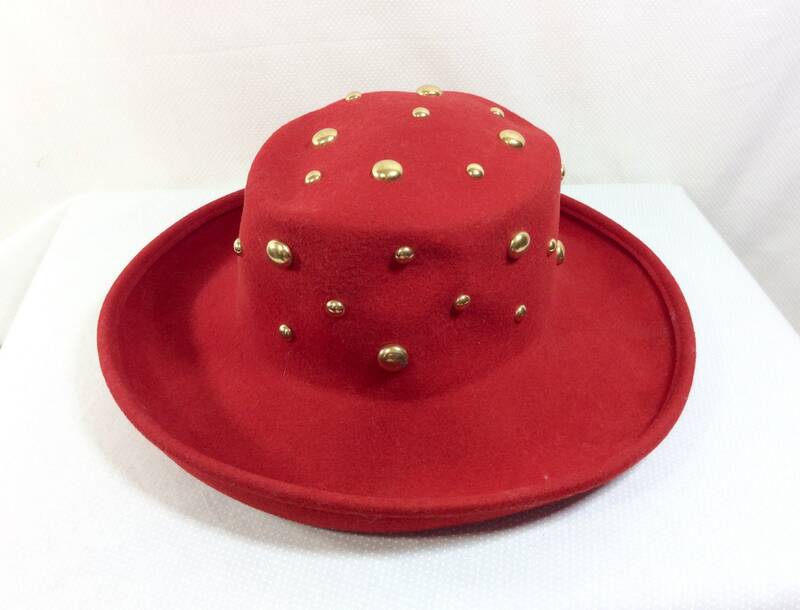 This hat was made in the USA during the late 1980s by Betmar, New York. There is no size indicated, please see measurements below to guarantee fit. It is made of medium weight wool felt. 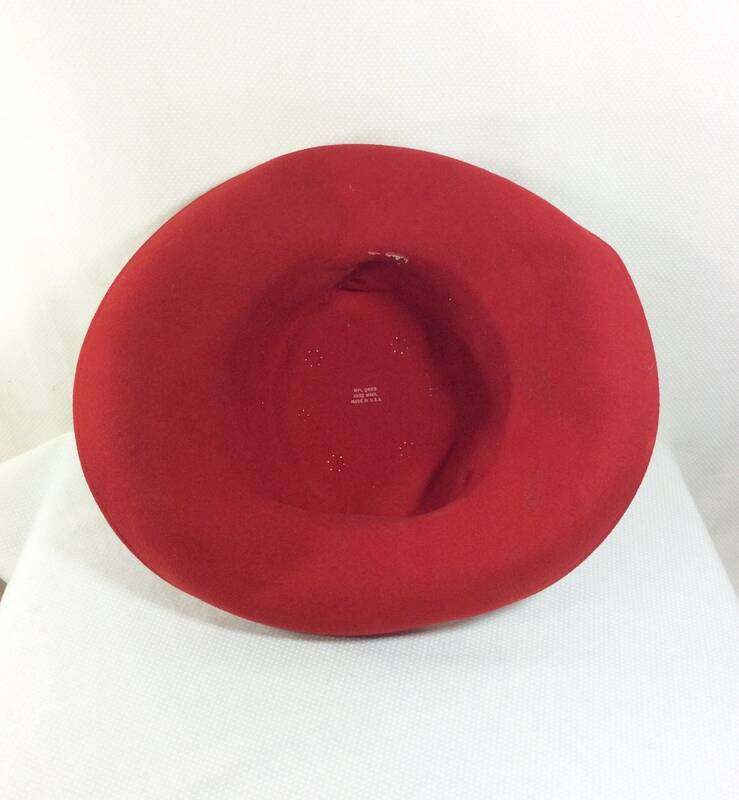 The brim measures 3 inches wide and is somewhat flexible. 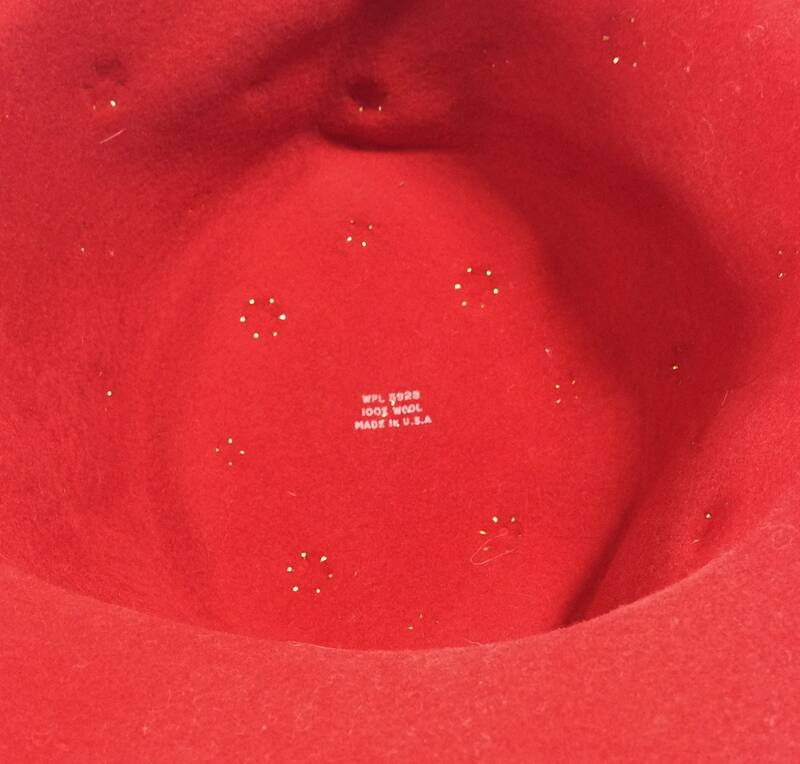 The rise of the cap measures approximately 3.5 inches tall. The inner band measures 22 inches around. 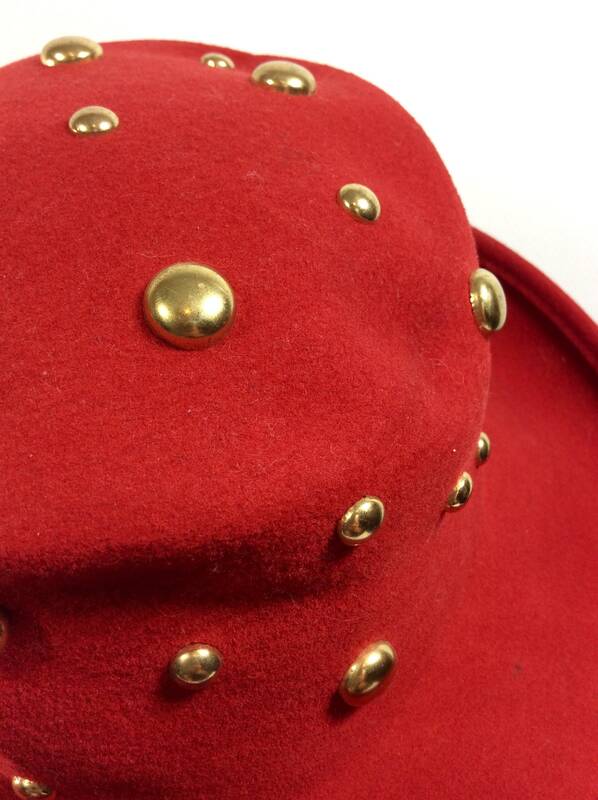 Two sizes of circular gold-tone brass studs decorate the cap of the hat and create that awesome New Wave look that is so early 90s. 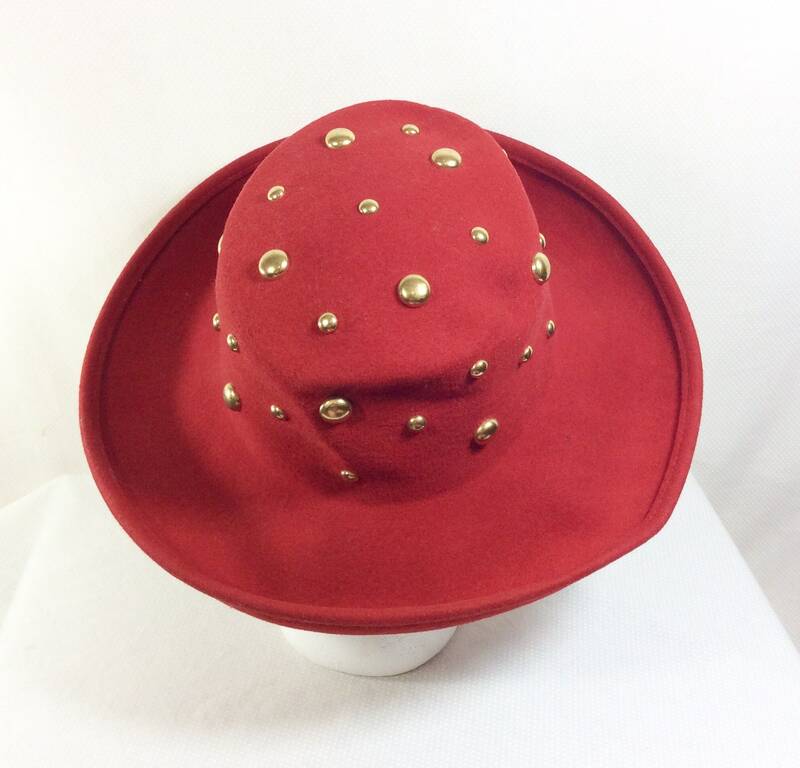 This hat is suitable for every day life, or it could make a great costume accessory! The tag has been ripped out and there is a small line of rubbery fabric glue on the inside where it used to be...since it's on the inside it is not very noticeable (and is not sticky). Other than this small sign of wear, the hat is great vintage condition. There are no holes or stains, and it was stored in a smoke-free environment.